The evening features all-you-can-eat, steamed oysters alongside a mouthwatering mix of creole and low-country comfort foods provided by Milwaukee's very own Maxie’s. Our master shuckers steam the oysters right in front of you so you get 'em HOT and you get 'em FAST! Guaranteed! These will be the best oysters you stomach in 2018! Attendees can also enjoy raw oysters served up by Maxie’s capable shuckers as well as beverage and desserts from local artisans. Please help the cause by bidding on the silent auction, raffle and more! Dress is casual. Stick around for live music, drinks and dancing! 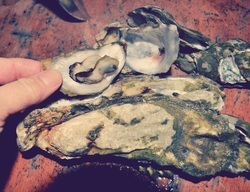 OYSTERS NOT A COMFORT FOOD? No problem. While we certainly advise trying the oysters, if it's just not your thing, we understand. That's why we've partnered with Maxie's Southern Comfort to provide an authentic Southern cuisine that perfectly complements the oysters and is guaranteed to distract even our most ardent oyster eaters. We'll admit... an oyster roast? In Wisconsin? It does seem a bit outlandish. We're 1,500 miles from the nearest ocean, our most prevalent mollusk is the Zebra Mussel, and frankly, serving beer & aphrodisiacs to a room full of people armed with sharp knives sounded like a big liability! 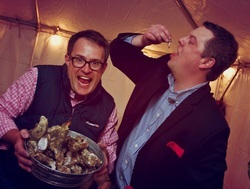 In the Carolina Low Country tradition, an oyster roast is a time-honored communal activity. Not only is it an excuse to gather around friends and family and make merry, but it symbolizes the seasonal feast in which families could partake in the fruits of their labor, namely harvesting oysters - a thanksgiving meal of sorts. 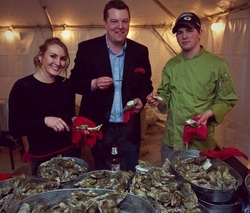 And though the food may seem strange, the social spirit of the Oyster Roast shouldn't seem foreign to us at all. You don't need to be from South Carolina to appreciate the adventure of discovering what lies beneath the next shell and enjoying the genuine warmth of the people around you. Over the last 15 years, the Milwaukee Oyster Roast has grown into something neither of us could have anticipated. We never thought we'd have 500 Milwaukeans in a room eating oysters. And we never thought raising $100,000 in one evening would sound achievable. But then again, we never thought one of us would lose a father to Leukemia. It has been a great pleasure to reinvent the Roast from year to year. We hope this latest incarnation won't disappoint. We look forward to seeing you on September 23rd!